To seek God in reverent worship, service to neighbors, gracious hospitality, and the pursuit of wisdom. All Saints’ Episcopal Church will host their annual Passover Seder Supper on Palm Sunday, April 14, at 5:00 P. M. The supper is an opportunity to better understand the background of Christian communion services and presents the story and symbols of the Hebrew people as they remember their escape from Egypt and prepare for the return of the Prophet Elijah. The celebration will include a traditional menu, scripture and songs of praise. Sign-up sheets to attend the dinner are on the bulletin boards in Shoemaker Hall; please sign-up with the number in your party. In order to complete food orders, we need to receive your reservation by Sunday, April 7. Volunteers are needed to bring a vegetable or a dessert (recipes provided) and to help with setup and serving; sign-up sheets for these tasks will also be posted. Although the Seder Supper is free to all, please note that the cost of this special meal averages about $12.00 per person. Donations to help cover the expenses of the event will be gladly accepted. For more information, contact Sherrie Cotton or call the church at 968-3622. Practicing Prayer is a gathering for those interested in deepening their friendship with God. We will not meet on Palm Sunday or Easter Sunday. Our next meeting will be April 28 at 4:30 to 5:30 in the Youth Room. We will pray in silence for 20 minutes and then continue our discussion of Richard Rohr’s new book The Universal Christ, with Chapter 3, “Revealed in Us As Us.” Please come even if you have not yet read this. All are welcome. On Easter Sunday, April 21st, we invite you to be part of the “Flowering of the Easter Cross,” an ancient and meaningful tradition where the barren cross, a symbol of death and hopelessness, is transformed into an Easter symbol of new life and resurrection. As you prepare for Easter worship, pick fresh flowers from your garden or yard and bring them with you to the church. Some flowers will be available at church. At 10:15 am, the children and others wishing to participate will be invited to bring their flowers forward to decorate the cross. Together, we can transform the cross and help make this Easter a celebration of new life. On Holy Saturday during the Easter Vigil service as we sing the Gloria, all are invited to raise a loud shout, ring bells, and shake their keys to make a joyful noise! With this praise we announce the arrival of Easter! Please bring bells from home. Some will be available at the church. All Saints’ is adding some formational flourishes to the annual Easter Egg Hunt this year. Like at many churches, attendance increases on Easter and we have many folks who join us for the first time, especially children. 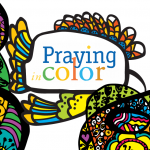 In order to provide some Christian formation opportunities, there will be a short children’s lesson in the K-5th grade classroom around 10:00am, after children finish eating brunch. After the 10:30am worship service, all children are invited to participate in the Easter Egg Hunt. This year, as children empty their eggs, they will find both candy and “Saintly Shekels” — play money in several denominations. Children are invited to drop their Saintly Shekels into three jars representing local non-profit charities that help children: CASA, Equestrian Zone, and River Valley Food 4 Kids. The play money will later be replaced with real money and donated to those charities. The child will get a piece of candy for each Saintly Shekel donated. The donation jars will be located on the stage in Sutherland, where the children can also pick up their stuffed Easter bunny. Help us spread the word and invite others to partake in this formational experience that communicates Jesus’ message about caring for our neighbors. The annual Easter Egg Hunt for the children of All Saints’ happens right after the 10:30am Easter Service. It is a grand event involving lots of candy-filled eggs, stuffed bunnies to take home, and prizes for all. Each plastic egg holds treats that are provided by the grown-up parishioners, who supply small, individually wrapped candies for the eggs. You can bring your candy donation to the church office any time before Wednesday, April 10 so that the EYC can help stuff the eggs during youth group that night at 5pm. The round of the Elate 8 is complete and we have come to the point in our Lent Madness journey when a few glorious brackets begin to pull ahead of some others! Yet again, Carolyn McLellan continues to lead the pack! Bless her and keep her! Her bracket is closely followed by the Rev. Michaelene Miller and Nancy Smith but George McLellan and Julie Hodges have predicted their way into the top 5 brackets this week! Only a few more fateful showdowns until the 2019 Golden Halo is awarded to both the most deserving Saint (as voted upon by YOU) and to the lucky saint from our very midst who made the most accurate bracket predictions! If you are following along at home, please know that God loves us all, regardless of the success of our Lent Madness predictions. May we all find great solace in that. We will be recognizing our graduates on Sunday, May 5th at the 10:30 am service. Please contact the office, 479-968-3622 or by email allsaints@allsaintsrussellville.net, if you or someone you love is graduating. All Saints’ is looking for two people to fill in part time in the nursery on Sundays 9am-Noon and for special events throughout the year. The position pay rate is $10. per hour. Please contact Kimby in the office 479-968-3622 to apply. Join the All Saints’ Trails and Travelers for their last trip of the church year on Saturday, May 4th for a day hiking the trails at Pedestal Rocks and Kings Bluff (just over 4 miles of trails). We will depart from All Saints’ Church in a carpool at 9am. Travel time is about an hour, one way. Bring sturdy walking shoes, water, trail snacks, bug spray, sun screen, and a sense of adventure! For questions, email RevMichaeleneMiller@gmail.com. Thinking about launching a garden in “The EC” this spring? We welcome new gardeners! Guidelines and applications along with a history of our community garden can be found on the information table in Shoemaker Hall. Cost for the year is $25 for a water fee. We have tools to borrow and share. Also, a few “gardenships” are available. Email Suzanne Alford or call 479-970-8058 to arrange for a garden tour. An advising committee is in the works, so if you like to get your exercise outdoors and/or if you have garden experience to share, we need you! All Saints’ is blessed and grateful to have people who speak different languages in our congregation. The Karen language is especially present, both written and spoken, at our 10:30am worship service. To celebrate this blessing as a community, click here to watch a short youtube video to learn simple words and greetings in Karen. SUMMA Student Theological Debate Society is inviting high school students entering grades 9-12 in the fall of 2019 to apply for SUMMA Debate Camp, held July 16-24 at the University of the South in Sewanee, Tennessee. SUMMA Camp is a unique opportunity for students to explore their faith through intellectual channels, meet lifelong friends, and have a lot of fun on one of the most beautiful college campuses in the country! At SUMMA Camp, students of all faiths learn valuable skills for debate, public speaking, and theological reflection. No previous debate experience or formal theological study is necessary. Campers have a true collegiate experience, but camp is not all work! There is plenty of time left over to swim, play sports, watch movies, go bowling, and have lots of great, summer fun! At the beginning of camp, a resolution is introduced, and each student argues both sides of the issue. Past topics have included:”Churches should be gun free zones,””In Christ there is hope for Cruella de Vil,””Christians, Muslims, and Jews all worship the same God,”At the end of camp, the SUMMA prize is awarded to the student who best exemplifies the spirit of SUMMA camp: speaking the truth in love. The SUMMA prize includes a $1,000 scholarship. For all students, the cost of SUMMA is partially defrayed through donations, grants, and an endowment. The cost to parents is $750, which includes room, all meals, and all materials. A limited number of scholarships are available for students with demonstrated financial need. For more information and to apply, visit summa.sewanee.edu, or email recruitment specialist Walker Adams. Every third Wednesday of the month at 5:30pm, there will be an old hymn sing before the 6:30pm Eucharist. Please join and sing joyfully! Loaves and Fish Most of the guests who join us on Saturday for lunch face many challenges; the members and friends of All Saints’ can provide a few essential items to help them out. Please place items in the little red wagon in the Nave. Gifts received at Sunday Worship Service will be available for our Neighbors Table guests the following Saturday. Weekly Prayers:Robert Woods, Jim and Marilyn Tischhauser, Matthew Hlass, Don Price, Jeni Green, Kristin Reed, Sheila McDonald, Bruce Moore, George McLellan, Steve Franks, Zach Wojtek, Pam Van Horn, Charlie Bradford, The Cochran Family. Sandy Britt, Gib Bewley, Tom Munson, Caleb Judd, William Gillum, Lillian Tweed, Aaron Tackett, Mike Miller, Michelle, Barbara Johnson, Jeannie McCabe, Arthur Hastings, Isaac, Sarah Lee, The Kellner Family, Christine Ivy, Jack and Carol Lee, Donna Van Horn, Rudy Jr., Israel, Bernice Delabra and Family, Espinosa Family, Pam Lundquist, Henry Wilkinson, Susan Shelton, Maxima Vargas, Don Hudson.